During our move in 2015, the supplies from two studies were combined. Aside from the duplicates, there were some pleasant surprises buried in the moving boxes i.e Dr. Ph. 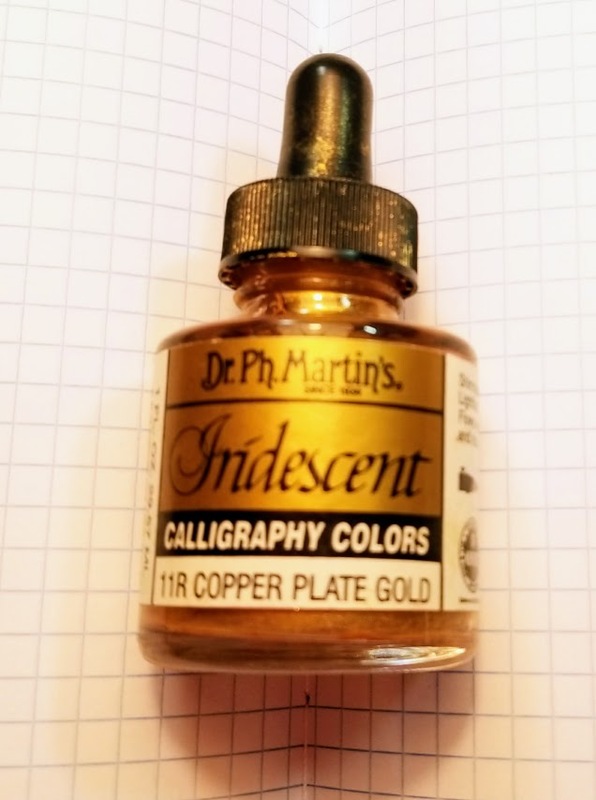 Martins Iridescent 11R Copper Plate Gold. This little one ounce bottle sat untouched for almost two years until, I unearthed it looking for just the right gold accent for several of the bracelets featured in the Summer Issue of Belle Armoire Jewelry. I am adding additional photos from my ‘test album’. 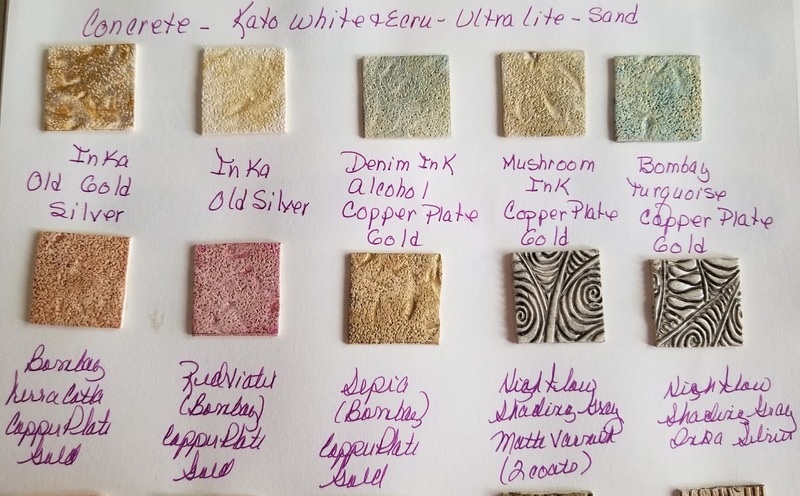 This one-stop binder keeps track of experiments and also reminds me of supplies that may have become buried in the ‘stash’ of stuff on the shelves. After all, my studio doubles as a guest bedroom. In the Saturday, June 3rd, edition of the Wall Street Journal, Amanda Foreman, describes a short history of color chemistry, as well as the accidental discovery of a new blue from a chemistry lab at Oregon State University. 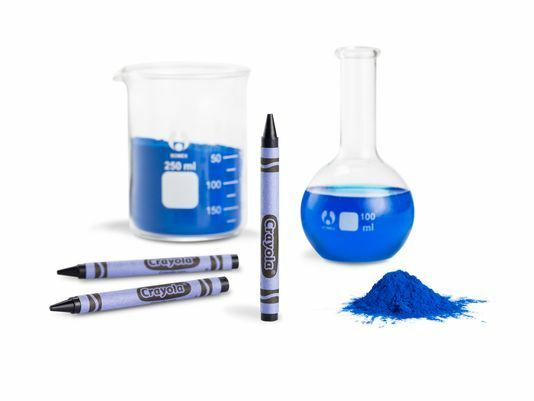 In May, Crayola announced a contest to name the new blue, as well as a flashy video campaign as part of the introduction. All of this meshes very nicely with the summer issue of The Polymer Arts Magazine…Color. WOW…it has been a long time since I posted and a great deal has happened since that last April Fools Day post. On April 4th I was diagnosed with breast cancer and my focus has been wrapping my head around the diagnosis and treatment. The prognosis is excellent and my doctor tells me I am doing exceptionally well. Side effects have been minimal and I am finally back in the studio…so far nothing worth sharing. Shortly before my chemo started, I received fabulous news from Belle Armoire Jewelry that my spoke bracelet is the summer issue cover. The issue also includes a beautifully photographed article, which includes 7 pages of instructions and step out photos. No promises…but I hope to post at least once a month. Besides, I have a new phone that I want to ‘play’ with…maybe even a video or two. Alice Stroppel assures me I can do video…!!!!!!!!!! There hasn’t been much new activity in my studio for the past few weeks…mainly production work for the Charleston Crafts Gallery. But…outside there is a great deal of activity. This video from one of the Kiawah Island golf courses created a great deal of interest during the week. It is alligator mating season and this little guy is out for a stroll to visit his girlfriend in a lagoon down the fairway. It is time to clear out the rust and gold of fall and move into red, orange & purple. 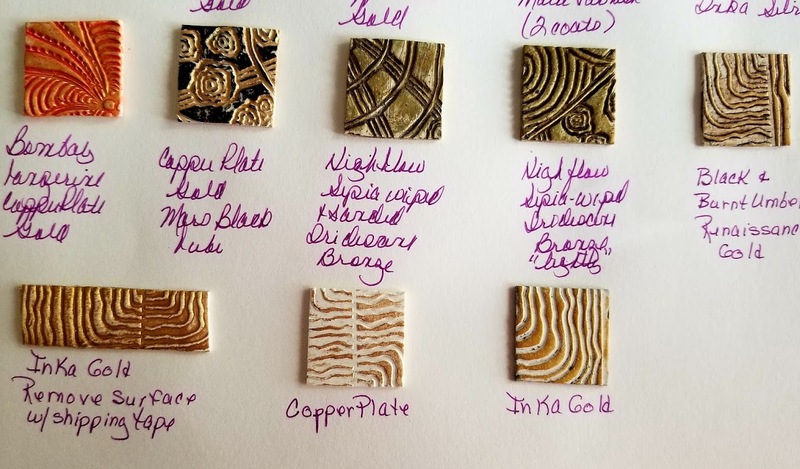 Several sheets of this combination are in the process of becoming earrings. 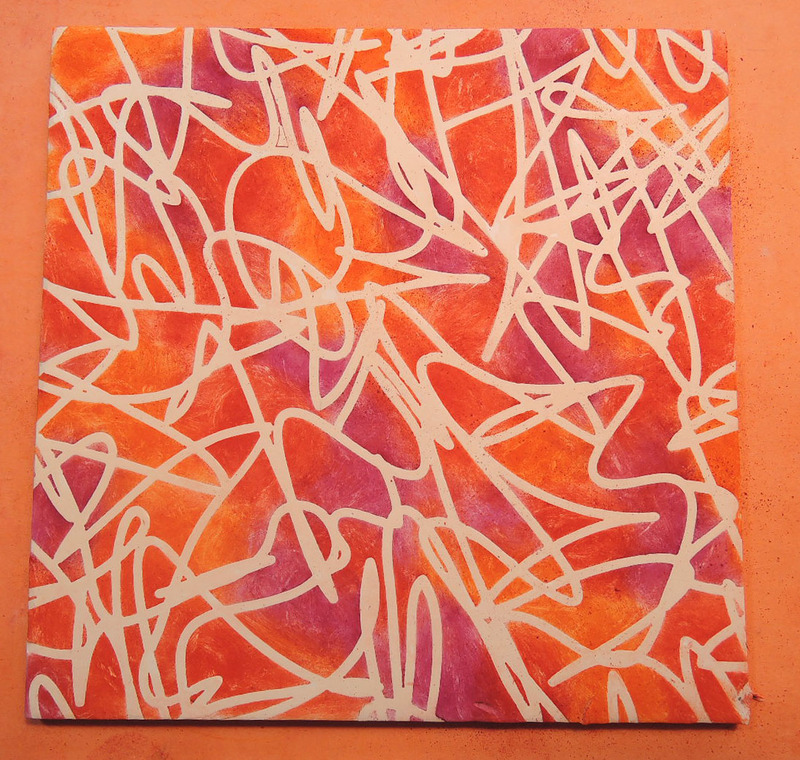 Another sheet combines turquoise, periwinkle and magenta…sunny colors all!!! As I continue to experiment with the Sennelier pastels, there is always a surprise when the pieces are removed from the oven…some good…others NOT SO MUCH…but more about that in another post. The last post featured 5 bracelets that were submitted to Belle Armoire Jewelry for the Summer 2017 issue. Hooray…they were accepted!!! But, be careful ‘what you wish for’. 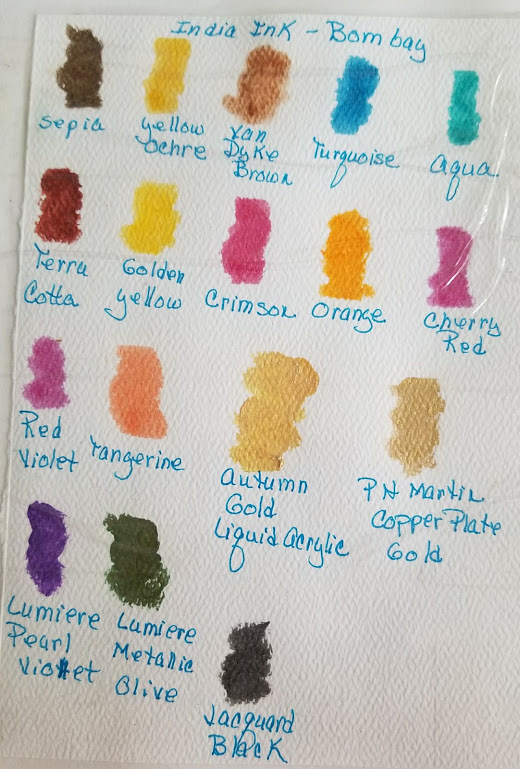 Writing a technique based article for 5 bracelets turned into a rather daunting task. 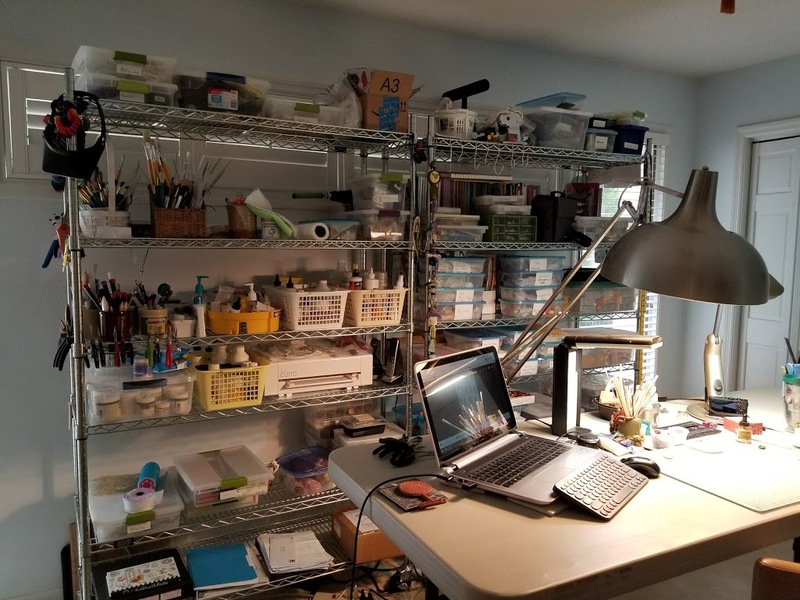 Well…WHEW…the completed article is finally off to the publisher this morning and now I can focus on new items for the gallery…and possibly cleaning my house. 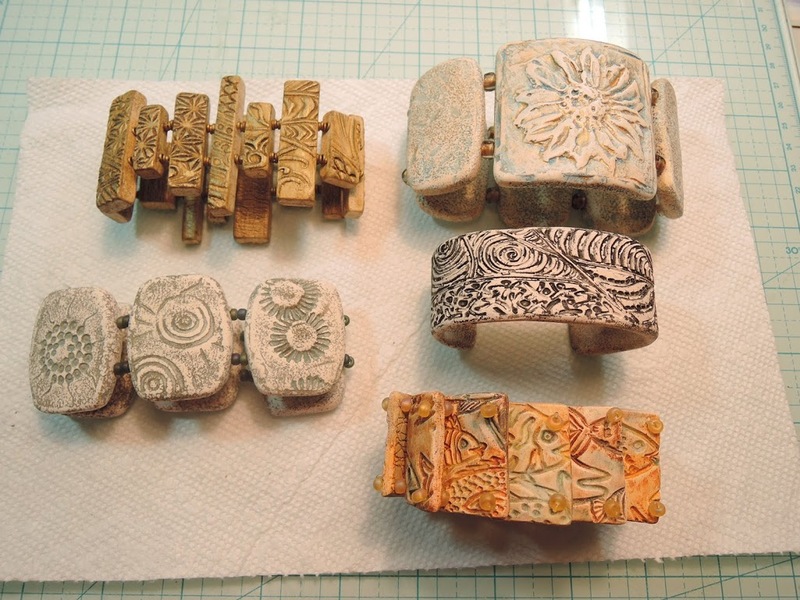 While, I am excited about all of the bracelets in the article, the finish on the tile bracelet looks very similar to terra cotta. LOVE IT!!! My latest blog post was postponed because of the holidays and a January 15th deadline for the summer issue of Belle Armoire Jewelry. While I can’t reveal the specifics, the photo is a sneak preview of the items that were submitted. I hope to have some great photos for the next post from my week in Florida with Alice Stropel, Julie Eakes, Dayle Doroshow, and Meisha Barbee. We are planning another challenge using some of the Winter 2017 collection from Nunn Designs. 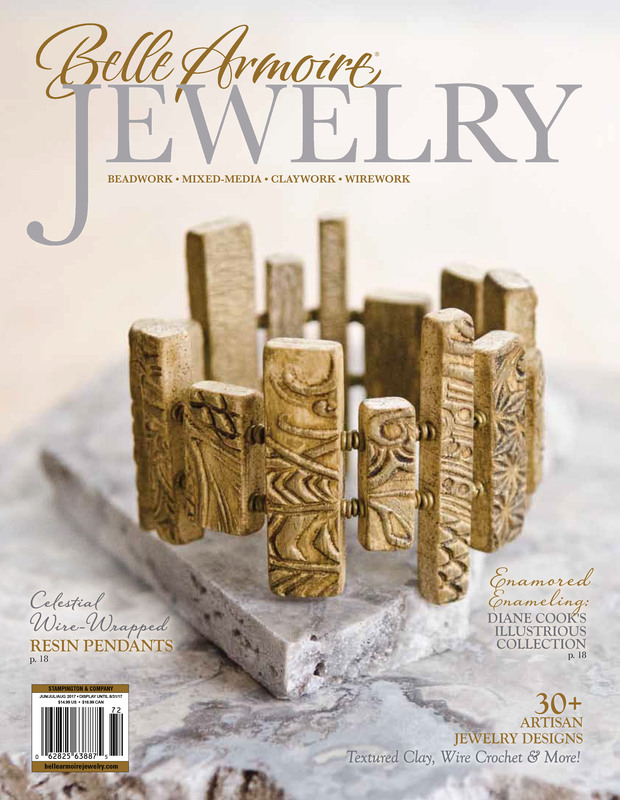 Our 2015 challenge was featured in the Fall issue of Belle Armoire Jewelry that year.